France, Germany and Italy have renewed their calls for Muammar Gaddafi to officially step down in the wake of the rebel storming of Tripoli. 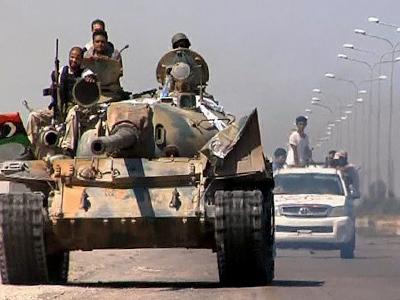 Paris says it will host a contact group meeting to discuss a road-map for a post-Gaddafi Libya. President Nicolas Sarkozy has invited the leader of the rebels National Transitional Council, Mahmoud Jibril, to come to Paris on Wednesday. Paris wants to host an informal meeting of countries that support the NTC “at the highest level” to discuss Libya’s road-map. The contact group may include the UN, the EU, the Arab League, the African Union and the US. French Foreign Affairs Minister Alain Juppe has made a commitment to provide support for the "construction of a new Libya." France has also claimed their war mission in Libya is over. This raised concerns about the consequences of an absence of peacekeepers if post-Gaddafi Libya descends into bloody in-fighting. 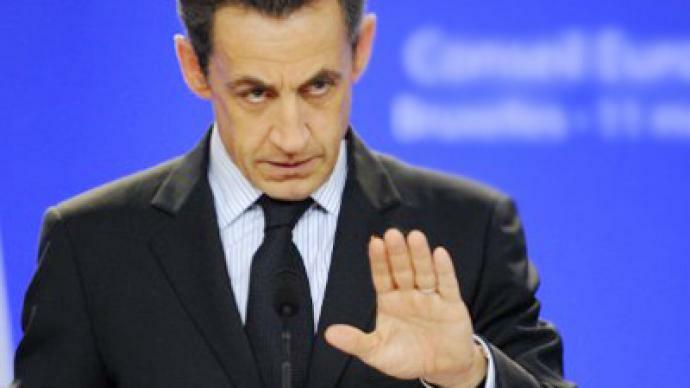 When the Libyan opposition forces started their offensive on Tripoli, Sarkozy expressed his full support for the rebels battling Gaddafi's troops in and around the Libyan capital. "At the moment when decisive events are taking place in the Tripoli region, in Tripoli itself, and elsewhere in Libya, the president salutes the courage of the rebel fighters and of the Libyan people who are rising up," Sarkozy's office stated on Sunday night, as quoted by Reuters news agency. Sarkozy reiterated that France is backing the National Transitional Council, the “legitimate Libyan authorities.” He also called on Gaddafi to immediately give up power and order his forces to cease fire. Defense experts in France warn that Sarkozy may use military force in Tripoli, and street-to-street warfare will put many more civilian lives at risk. There is also some expectation that Western powers will divide up Libya between themselves, notably its vast oil reserves. Italian Prime Minister Silvio Berlusconi has called on Muammar Gaddafi to end “useless resistance.” Germany has also said that Gaddafi should swiftly step aside. UN Secretary General Ban Ki-moon is urging forces loyal to Libyan leader Muammar Gaddafi to cease violence and make way for “a smooth transition” to ensure a free and democratic future for the country. Ban did not specifically call for Gaddafi to step down. Meanwhile, Reuters reports that the African Union is to hold an emergency meeting on Libya at heads of state level on Friday. ­The UK Prime Minister David Cameron has had to cut short his holiday for the second time since rioting erupted in London – this time, it is to respond to the situation in Libya. The PM chaired a meeting of the national Security Council on Libya discussing first and foremost what is going to happen there after Gaddafi’s regime falls: how to ensure a smooth transition with no interruptions in food, energy and medical supplies, in accordance with the UN resolution on protecting civilians. 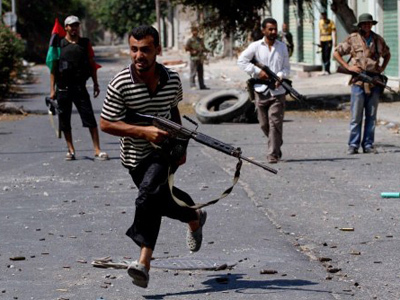 Cameron welcomed the news of the rebels entering Tripoli and capturing most of the city. 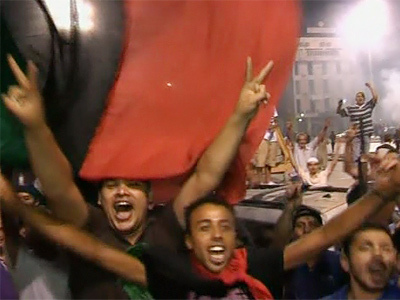 He said that after Gaddafi steps down the future of the Libyan people will be in their own hands. He said during the transition period to democratic leadership power will remain in the hands of the rebel National Transitional Council, which Western countries already recognize as the country’s legitimate government. Cameron stressed that NATO's mission in Libya “will continue for as long as it is needed” to ensure the transitional period proceeds smoothly. 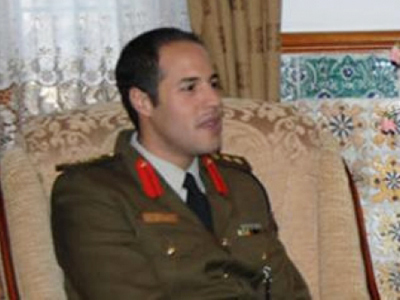 The future of Muammar Gaddafi will be in the hands of National Transitional Council, said Cameron. The PM added that Britain is ready to unfreeze some $20 billion of Libya’s assets. However, there is some uncertainty about who is entitled to them. 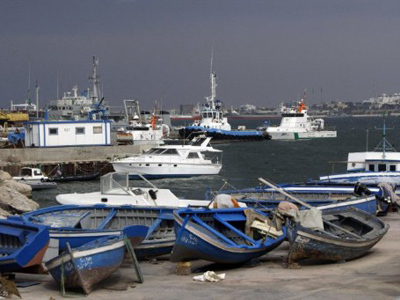 EU leaders have expressed relief and opened discussions on arrangements for a post-Gaddafi Libya. However, it appears that none of them has considered the possibility of Libya fragmenting into several independent states and even turning into a new Iraq. ­Investigative journalist and author Michel Collon agrees that the EU's concern for Libya's future has little to do with the interests of the Libyans themselves. ­London's promises to the rebels’ provisional council may be driven by self-interest, warned John Rees of the Stop the War Coalition. Oliver Miles, a former UK ambassador to Libya, believes no one in the North African country is skilled enough to govern the country.